Here at Prefix Systems we’ve been designing and manufacturing conservatory roofs for over 20 years. 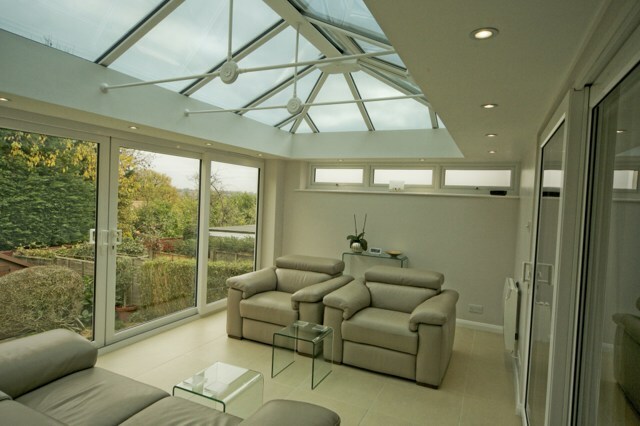 The Classic Conservatory Roofing System from Ultraframe provides upmost flexibility with that being its key benefit. 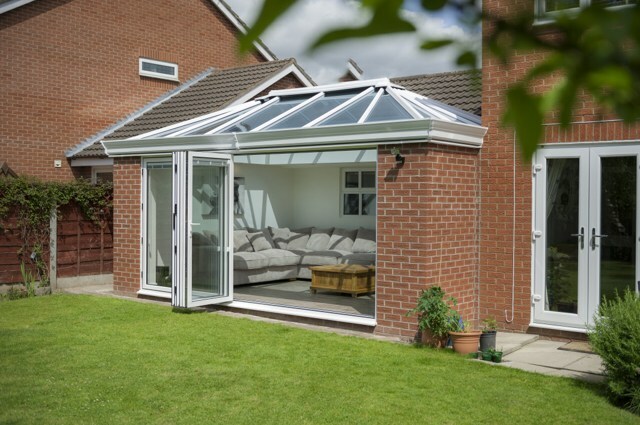 The Classic Roof can be used for many applications including conservatories, orangeries and even Verandah. 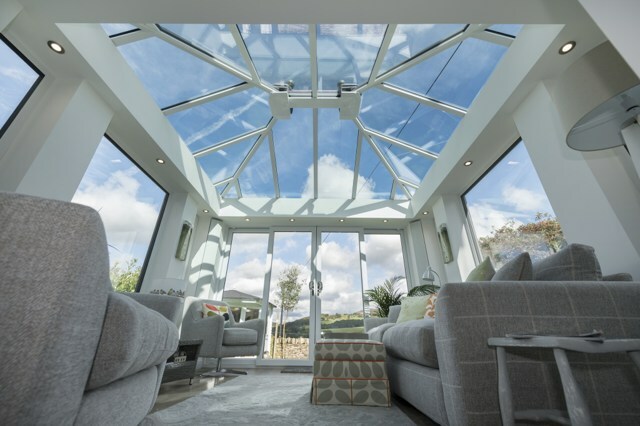 Equipped with industry-leading technology and components, the Classic Roof will ensure your installation is an investment for every homeowner with the stunning glass conservatory roof built with performance in mind. 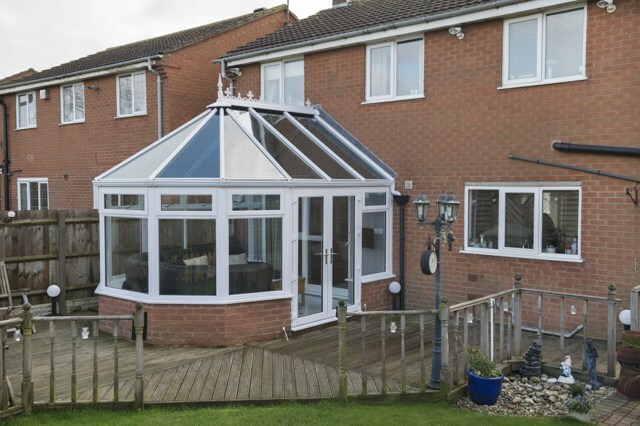 The Classic Roof is available with many performance glass specifications and sizes from 24mm through to 35mm. It is compatible for Georgian, P-Shape, Victorian, T-Shape, Lean-to & Gable conservatory styles. This roofing system is available in ANY colour with our own spray facility being on site, meaning you can have your roof any colour with an exceptional finish and with shorter lead time. The classic roof system is built to last. Each roof is designed to suit the geographic area in which it will be situated. 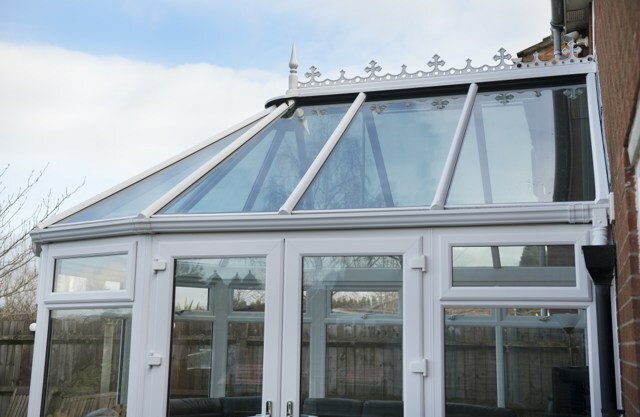 The snow that accumulates on the conservatory roof will apply additional pressure to its frames and foundations and wind can have a great impact. Our unique software calculates the extreme wind and snow loads for any postcode and engineers each roof to withstand these conditions, which means the installation will be able to cope with changes caused by the environment. 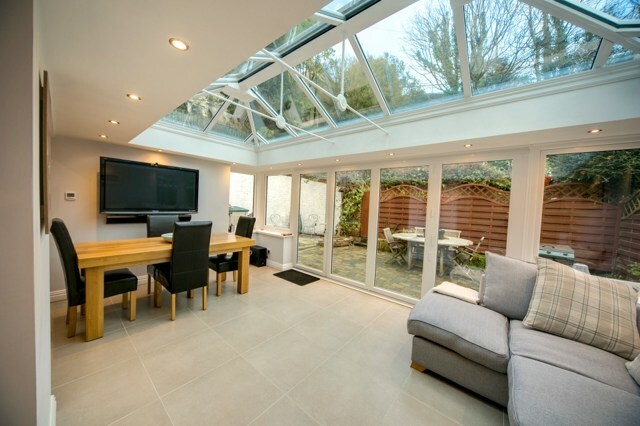 Although the British Board of Agrement (BBA) approves the Classic Roof system, we conduct independent tests in-house – which means you’ll be able to buy your glass conservatory roof from us with confidence. 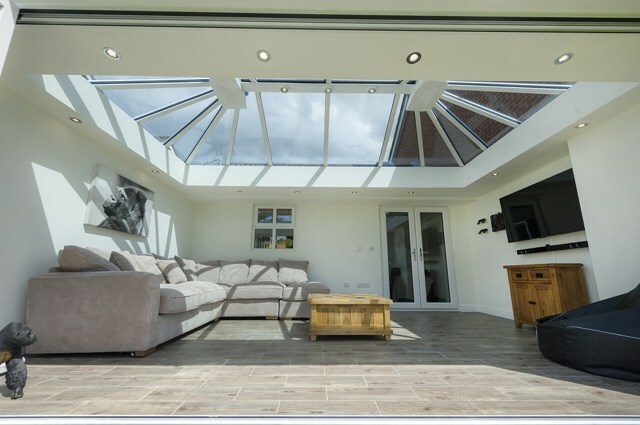 Our range of performance glass options are Insulating Glass Units specifically designed for conservatory roofs and side-frame glass. This premium unit combines self-cleaning, solar control and thermal insulation properties with optimal light transmission. 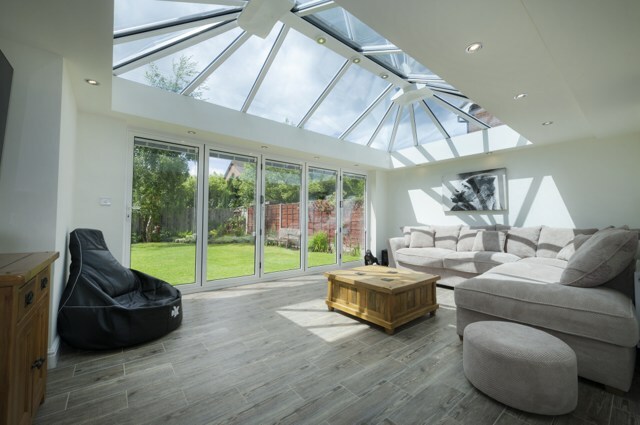 It is available with improved thermal insulation and a U-value of 1.0 which helps keep your conservatory cooler when it’s warm outside, and warmer when the weather is cold, creating a comfortable environment throughout the year. 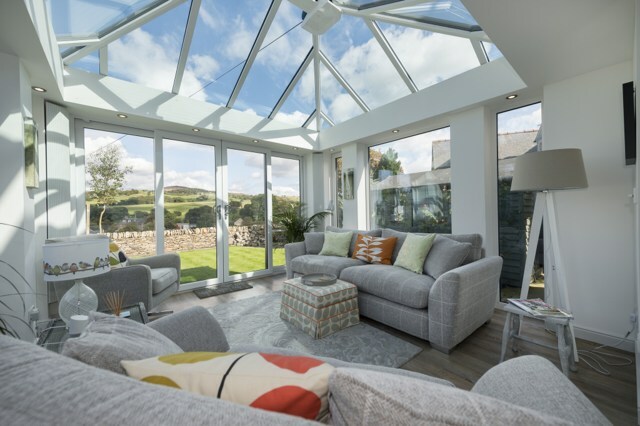 Our specialist glass range includes products which benefit from both self-cleaning and solar control properties helping to create an environment that can be used all year round. Stylish designs to transform outdoor living space. Luxury Doors & Windows providing stylish modern & traditional designs alongside class leading thermal performance. Offers all the versatility of bespoke construction with the practicality needed for easy installation.